When one hears about a “Gaming Marathon,” a setting quickly pops into mind: controllers and wires scattered around the floor, televisions lining the perimeter of the space and dozens of folks with rapid thumb movements and wide, focused eyes. Last year, the 30-member team set a goal for $5000, and ended up with $5700. As of last Sunday, Feb. 17, the Golden Gamers closed registration at over 50 teammates. Their goal: $7500. Extra Life is a 24-hour gaming marathon, with three rules: don’t sleep, don’t stop, and stream everything. The Golden Gamers add another rule to their fundraiser: go for 25 hours — an extra hour for an extra life. By accepting and accomplishing challenges, teammates hope to reach their fundraising goals … over the course of the day. “Even if you’re not a huge gamer, it’s an environment that isn’t competitive … it’s nice how you can play whatever type of game. Everyone is there to have a good time,” said Domenica Castro, first-time team member and veteran visitor to 2018’s event. While this is the Golden Gamers’ second Extra Life on campus, it’s technically their first as an official student organization, getting official approval from the Student Government Association last semester. The jump from a group of students with a shared cause to an official student organization brought some unique growing pains. “One of my biggest anxieties about establishing this club was whether or not we would generate enough interest in our mission. However, we have a great group of club members who consistently attend our meetings, and we have been so happy to see our passion for gaming and charity mirrored in our peers,” said Butler. Last semester, the service organization debuted their first Fall semester charity, hosting a Super Smash Bros. tournament to fundraise for a Nintendo Switch. 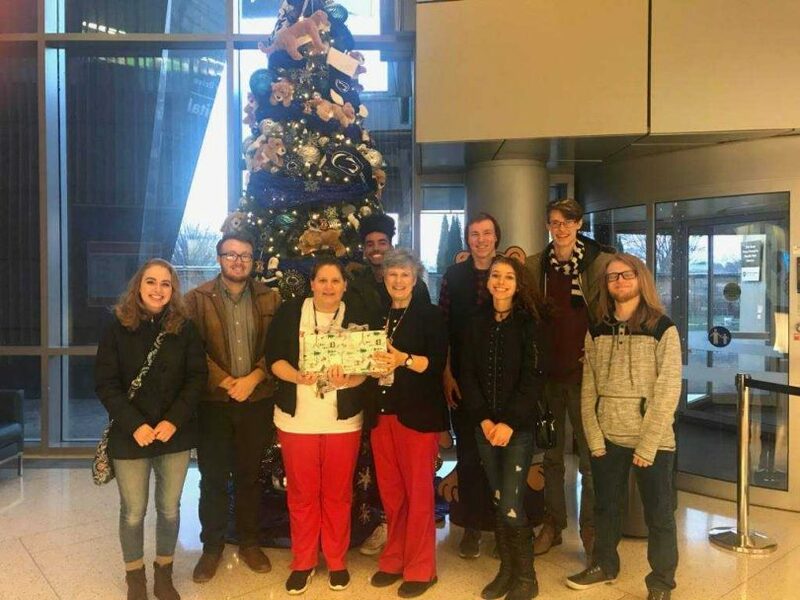 Reaching their goal in November, the Golden Gamers donated the Switch to the Penn State Children’s Hospital in Hershey. “I soon realized that there is no right or wrong way to game and that everyone takes up different niches in the gaming community … We have had to do a lot of learning as a new organization, and I believe that the commitment to our mission has helped propel us forward and generate momentum,” said Butler. The WCU Golden Gamers is welcoming visitors for their upcoming April 6 marathon, and Celine Butler can be reached through her email at CB869017@wcupa.edu.